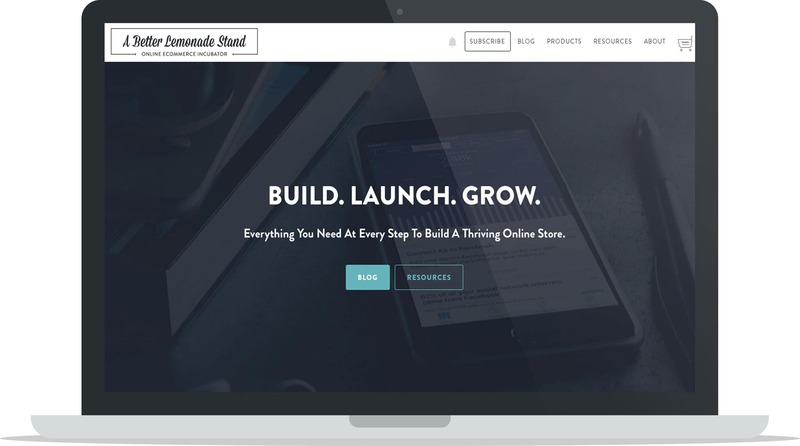 A Better Lemonade Stand just turned 5 years old. It’s been an amazing journey getting to where we are now, and in these past couple of years, we’ve really concentrated on growing the business into where it is today: An ecommerce incubator that focuses on helping well over 1 million entrepreneurs each year build, launch and grow their own ecommerce businesses. Reflecting on our past couple years of growth, thinking toward our future goals and how else we can help our community of ecommerce entrepreneurs better their businesses, we got to thinking about how we can give back to our audience in a big way. This year, for our birthday there’s only one thing on our wishlist: we want to support another entrepreneur by helping them grow their business even further. We want to take an entrepreneur that’s already built and launched something great and using the tools, services, and resources available to us we want to help them make their business even better and even bigger. We’re calling this campaign Lemon-aid (Thanks to Russell from Fetch Shopify App for the name idea!). To help us help the business we select, we’ve reached out to some of the best apps, tools, and resources in the ecommerce industry and asked them to lend their services to this campaign. With their help, we’ve created a massive investment package worth nearly $35,000 that the winning ecommerce business will get to use to grow their business for FREE. This investment package is stacked full of the biggest, best and most useful ecommerce tools and resources in the industry and they’ve donated their time, services & resources to help the business that we select grow to new heights, for free. These companies are leaders in their respective fields and they’ve really stepped up to the plate to offer the winning business free access to their services so they can grow their operation without investing all their own capital. We couldn’t offer this prize package without the help of our amazing sponsors, so we’re hugely grateful for their support. As an entrepreneur who’s been hustling through the process of building and launching a business, working through all the challenges and successfully building up a customer base over time, a little push in the right direction can help boost the business exponentially. We want to be that push for one exceptional business, so that’s why we’re introducing our first ever A Better Lemonade Stand Invest in a Business Campaign. Together with our partners, we’ll help the winning business achieve bigger things even faster. We’ll be selecting one business that’s been a member of our community to receive the Lemon-aid investment package. With A Better Lemonade Stand we’re exposed to cool businesses all the time through email correspondence, our Facebook Group, case studies, social media and even in person, so we’re scouring through our contacts to find an entrepreneur who has already built and launched something great, been an active member in our community and will be an ideal recipient of the investment package. We’re working with companies that are leaders in the ecommerce industry to create a partnership that will provide their valuable services for free to the winning business for one whole year. The companies that we’ve partnered with to create this investment package have been personally vetted by us and come highly recommended by others in the ecommerce industry so we know the winning business has a lot to gain by working with these companies. We’re providing our own mentorship exclusively to this business for the duration of this campaign so they can pick our brains about anything and everything they need help with as they grow their business. It can be overwhelming for businesses to take the necessary steps to grow and we want to provide our best advice and invest our own time into helping the winning business take their best steps forward for their future. We’ll be announcing the winning business soon, so keep your eyes on your inbox. Make sure you’re signed up to our email newsletter if you’re not already and we’ll keep you updated when we select the perfect business to award the investment package to. Speaking of the investment package, let’s learn more about it. We’ve reached out to some incredible and powerful apps, tools and services to help us invest in the winning business, and they’re just as excited about this campaign as we are. They too recognize the value in investing in a business that’s already built and launched something great and they also understand how a little extra help can go a long way at this stage. Conversio is an all-in-one marketing automation for your business. Increase sales using supercharged, intelligent and automated email options: Receipts, Follow-Up, Abandoned Cart and Newsletters. Upsell and cross-sell using easy on-site widgets: Product Recommendations, Product Reviews, Feedback, and Search. 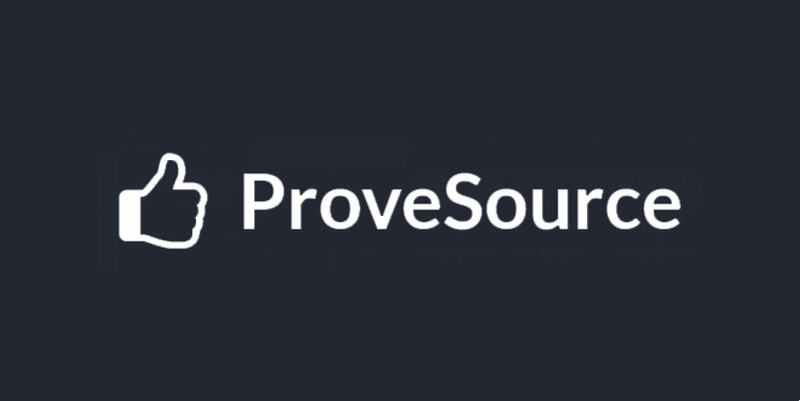 The winner will join more than 20,000 entrepreneurs and ecommerce businesses worldwide using Conversio. The features enable the winning business to increase customer lifetime value and first-time sales. The winner will be able to send marketing campaigns and automated emails using data-driven features and powerful segmentation. 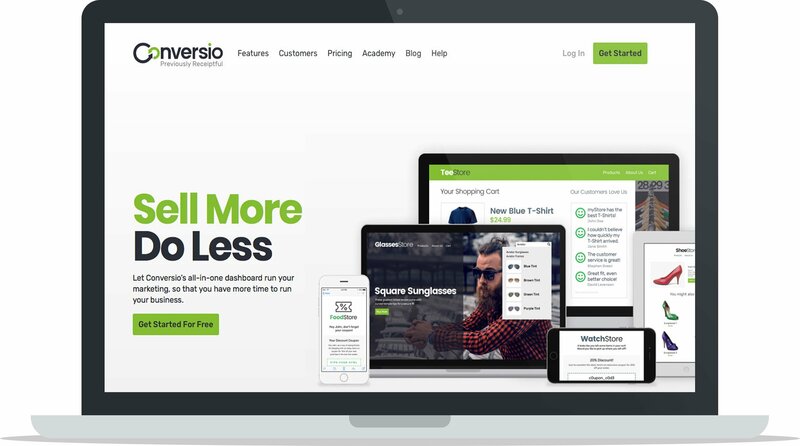 Conversio will also provide the winning business with free exclusive access to Conversio Managed, where the winner will work directly with Conversio to manage, monitor and optimize their marketing strategy. Shoelace is a powerful automated retargeting service that works with Shopify businesses to create a powerful retargeting experience once a customer leaves a site without converting. Shoelace creates a “Journey” retargeting visitors after they leave the store. Instead of showing visitors the same repetitive ad, Shoelace keeps them engaged with a sequence of ad experiences. This helps combat ad fatigue that your customers would otherwise experience if they were seeing the same ad every time, and it makes them more likely to convert. With Shoelace’s smart retargeting solution, the winning business will be able to use their service as a tool to optimize their visitor’s post-visit experience and engagement. For the winning business, Shoelace is offering free access to their Enterprise Level Plan to help the business deliver a state of the art retargeting experience and ultimately grow further, faster. Shoelace also integrates with Conversio so it’s an ideal retargeting solution for businesses using this service as well. As part of the investment package, A Better Lemonade Stand is excited to offer our own mentorship and guidance to the winning business. When it comes to growing a business, it can be overwhelming to know exactly what move to make next, where to input time, where to invest energy and which decisions will make the most return on investment. We want to be there for the winning business to help provide them with support and to help them put the investment package and their own resources and capital to good use. 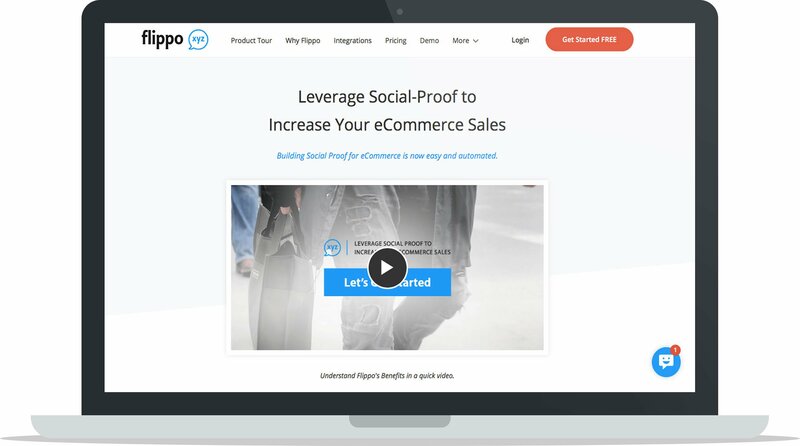 Flippo helps businesses use user-generated content to provide social proof that sells their products. Implementing user-generated content is one of the best ways businesses can increase conversion rates because customers trust other customers and their reviews, feedback, and opinions can be the make-it or break-it point that convinces others to take the plunge on a business’ products. Flippo is offering the winning business free access to their Professional Plan which they’ll be able to use to post customer reviews, questions and answers, social mentions, a research tool, and an SEO booster easily on their website. This will help the business increase their online sales, customer time on site, user involvement, and their overall SEO performance. Flippo is the best way to sell more using positive customer feedback that will boost conversions and they make it easy for businesses to integrate it onto their existing websites. 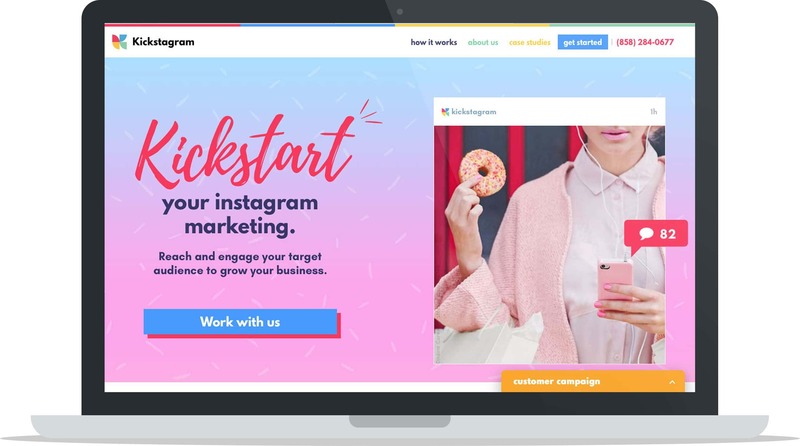 Kickstagram works with businesses to create and develop an Instagram marketing strategy that grows their accounts and boosts their engagement. With Instagram’s huge active user base, it’s the perfect place for businesses to hone into their target market and Kickstagram helps businesses do that by researching demographics, creating a customized strategy, performing large scale outreach and increasing engagement. The winning business will have free access to Kickstagram’s Premium Plan where they’ll be able to work directly with Kickstagram’s team to create a personalized Instagram marketing strategy that works for their business without compromising their brand image. 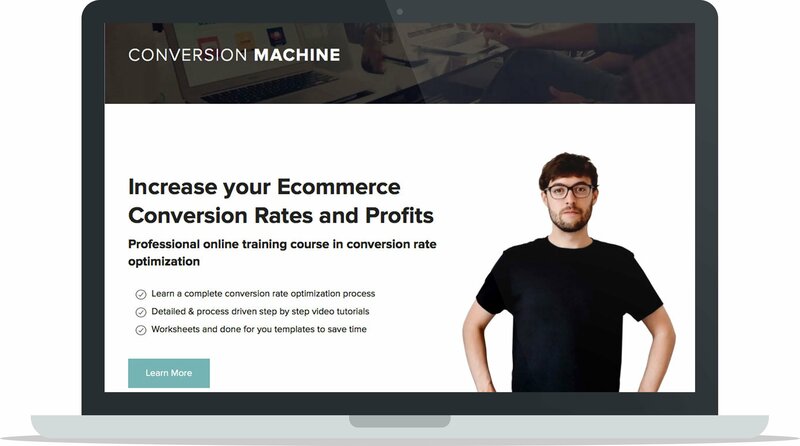 Conversion Machine is a professional online training course that teaches entrepreneurs to increase their conversion rates and grow their business. Considering this investment package is geared entirely towards helping an ecommerce business grow, this course is an ideal resource to help them do exactly that. 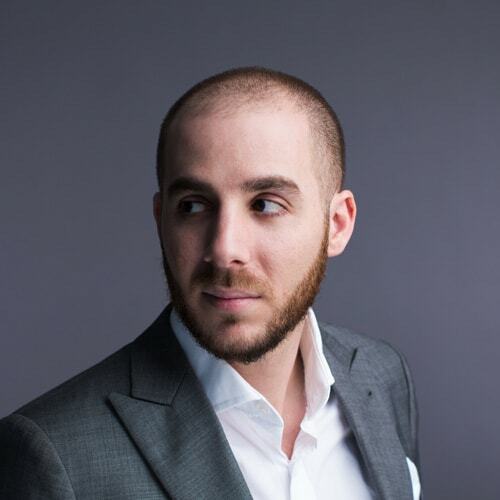 The Conversion Machine course covers a variety of conversion optimization-related topics including profit optimization, data collection, data analysis & hypothesis, execution, testing and more, and is lead by Giles Thomas, head Marketing Mentor for Google Launchpad and one of 35 marketers in Google’s Expert program. With free access to this course, the winning business owner will be able to understand the fundamentals of conversion optimization and the strategies and processes required to help them grow their business. They’ll be able to partake in lifelong training that will give them the knowledge and tools that will be relevant to their entire entrepreneurial journey, no matter where it takes them. Carson is an ideal service for Shopify store owners looking to perfect the look and feel of their store without having to figure it out for themselves or hire a web development agency to do small tasks for them. Carson works on a task-by-task basis to help Shopify store owners make changes to their website to help optimize its look and functionality. Carson is providing the winning business owner 10 free tasks that they’ll be able to use to improve their store with. With Carson’s service, they’ll be able to make design, style, graphics and image edits, app configurations, theme tweaks, and other troubleshooting, adjustments, and modifications. Carson’s services will help the winning business create a better website that will be more functional for their customers without having to spend valuable time and energy making the modifications themselves. Fomo is a conversion optimization solution that shows off customer interactions to encourage other customers on site to make a purchase too. 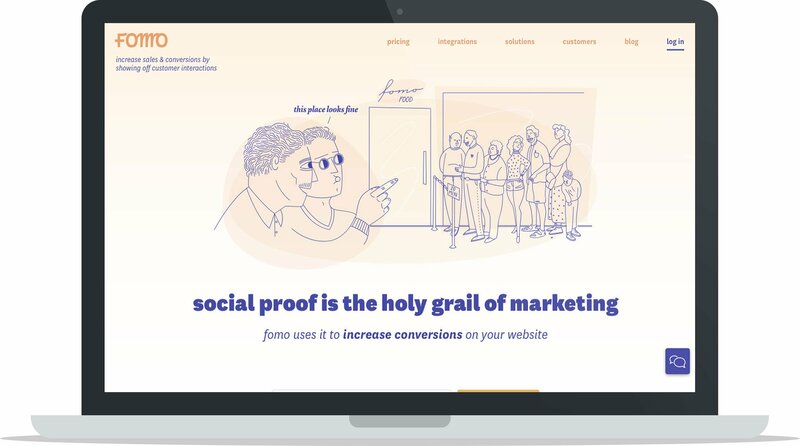 Fomo broadcasts social proof on your website to introduce shoppers to new products, show them what others are buying and in turn convince them to buy, too. Social proof gives your business credibility and Fomo shares that social proof with others on your site. Unlike traditional brick-and-mortar stores, customers purchasing online aren’t able to see who else is shopping and what they’re buying – unless you use Fomo. The winning business will have free access to Fomo’s Startup Plan where they’ll be able to show off what other customers are buying and increase their conversions by broadcasting social proof in order to radiate credibility. 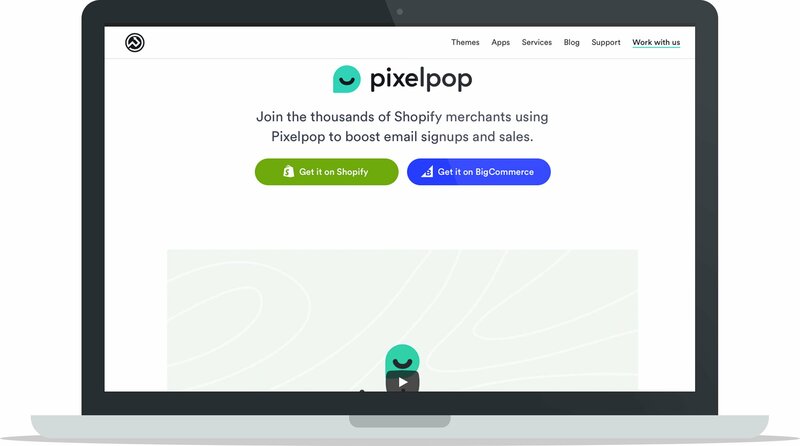 PixelPop helps businesses turn browsers into buyers by engaging website visitors through banners & pop-ups that direct traffic to where they want them to go. Their service provides beautiful pop-ups and banners that are optimized to perform well on any device, be it desktop or mobile, and they can be used to inform customers about new products, promotions and offers or to direct traffic to product pages, collections or other online content. Businesses can even use them to get more email newsletter subscribers or more social media followers. With PixelPop the winning business will be able to engage their customers on a new level and give them specific calls-to-action that can lead them anywhere on their site. With PixelPop’s service, the winning business will have access to their Pro Plan free for one year where they’ll be able to customize pop-ups and banners, target visitors, schedule pop-ups, track performance and much more. 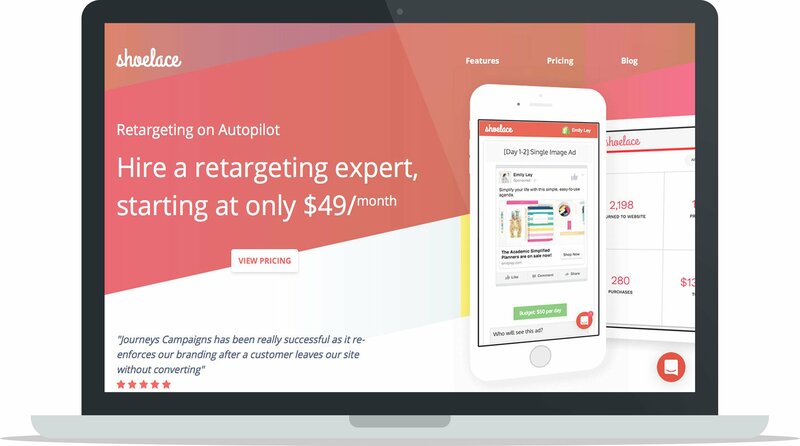 PixelPop works for businesses by helping them boost clicks, conversions, and sales through customizable pop-ups and banners. 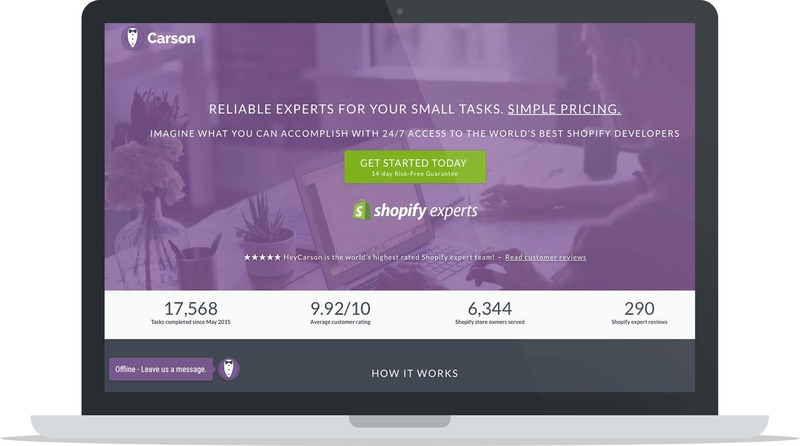 Since Shopify is the leading and most highly recommended ecommerce platform, it’s only natural that we’re including them as part of the investment prize package. 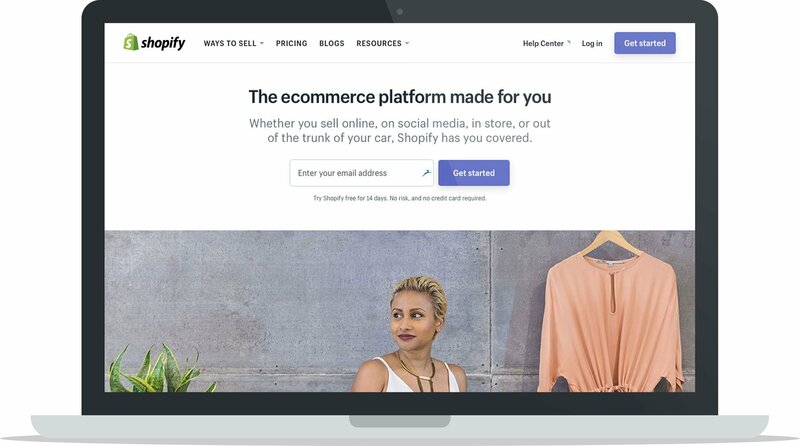 Shopify’s powerful ecommerce software takes the hassle out of hosting and managing a website as their user-friendly service makes it easy for everyone to start their own ecommerce business without having to build a website from scratch. Simply set up your store, pick your theme, add your products and you’re quickly on your way to starting your own ecommerce store. Shopify is offering the winning business free access to their Shopify Plan which offers the business owner improved credit card rates and transaction fees, and extra features such as gift cards, professional reports and abandoned cart recovery. With this plan, the winning business will be able to host their business on the most powerful ecommerce platform with enough room to grow as they progress throughout the year. As you can see, these are some of the top tools and resources in the ecommerce industry and we know the winning business is going to benefit hugely from what these companies have to offer. These companies work hard for their customers and they provide great services that help businesses operate more efficiently whilst growing at the same time. We’re so proud to include these partners in our investment package and know the $35,000 value of these services will be put to good use over the course of the year. In order to put our weight behind one business and award them with the investment prize package, we need to ensure they meet some important criteria. We want the business we select to have a lot to gain from the investment package, and we want them to be able to put the resources and tools to good use. We also want them to be able to benefit from the support and services they’re going to receive and we want them to be in a great place to grow this year. We’re currently reviewing all of the businesses we’ve had contact with throughout the year through our email, social platforms, Facebook group, case studies, etc. and looking seriously into who could potentially be the winner of this investment package. We’ve been exposed to so many different up-and-coming businesses that have so much potential, so it’s going to be a difficult task to select one final winner. They’ve started something: They’ve embraced the obstacles, challenges, and roadblocks that come with starting a business but they’ve built and launched one despite the challenges. They’ve kept moving forward: Obstacles and roadblocks have happened to them but they’ve kept progressing in spite of the challenges they’ve faced. They work hard: They’ve succeeded, they’ve failed, they’ve faced obstacles and they’ve achieved progress, but through it all, they’ve worked hard. They’ve failed forward: Failure is inherent in entrepreneurship, and they haven’t let failure hold them back. Every failure has been a stepping stone for their next achievement. They take responsibility for themselves: No matter their situation, they realize they have control over their attitude, their actions, their reactions, and their choices and they succeed because of it. They figure it out: They don’t sit idle when they run into an obstacle, they find a way to solve their problem and they figure it out. They make the difficult choices: They realize that easy paths don’t lead to worthwhile results and they make the choices that will lead them to the worthwhile results. As you may have noticed, these criteria are based on our manifesto. These qualities are so important to us as a business and a brand, and for us to truly stand behind the winning business we select, they’ll need to embody these important qualities. These are the qualities of a successful entrepreneur, and they’re the kind of qualities we want to support. While we’re in the process of narrowing down the winning business we’ll keep you updated through our email newsletters, so to stay in the loop make sure you’re signed up here. We can’t wait to share this huge investment package, thanks to our generous partners, with the winning business and help them get well on their way to growing a bigger and better business. Great way to give back to those who support you and the business. Love seeing this! Wow! I received this in my email yesterday and made it a point to come back here. My company Sneakerbox.com (The first subscription box for Sneakerheads) could really use a boost and some help. As a solo entrepreneur I built a pretty cool business with 6figs in sales lifetime, but as a one person show it’s hard to keep spinning all of the plates and have time to learn and leverage all of the tools needed to be successful. This could be a game changer! !